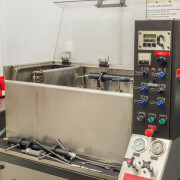 Fuel Injector Testing in Surrey - NW Fuel Injection Services Ltd.
At NW Fuel, we remain true to our roots. From the tank to the engine, we specialize in the delivery of diesel fuel. As the technology changes, so do we, while remaining true to the core skills and priorities that brought us here: building strong, long-term relationships and serving our clients. 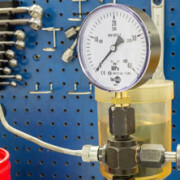 As recent as 10 years ago, injectors ran for about $30 each and it was custom to throw away the good with the bad. You could afford to replace them in sets of six or eight. But the times have evolved, and so have we. Putting our clients first, we make sure you aren’t paying more than you need to. And at $300 or more per injector these days, this is very much a good thing! Our Bosch authorization ensures access to a wealth of resources, up-to-date training, and regular inspections to guarantee you are receiving the best service. 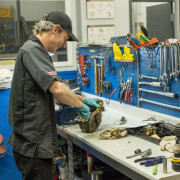 Our diesel parts shop allows us to better service the diesel repair industry with Bosch remanufactured injector pumps, injectors, turbos and component parts. 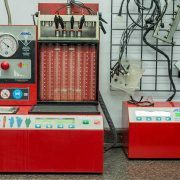 Sometimes, replacing an entire set of injectors still makes sense, but often it’s only a matter of one or two bad ones while the rest are still in working condition. 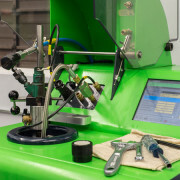 From mechanical injector testing to common rail testing and injection pump rebuilding, take a look at our services to find out how we can best serve you and solve the problems you’re experiencing!